Que es “Cobertura Total” (“Full Coverage”)? Mucha gente me pregunta por un presupuesto con “cobertura total”. Una vez, tuve un señor solicitar un presupuesto por “básica cobertura total” pero deseaba estar “totalmente cubierto por lo que podría ocurrir” en caso de un accidente. Le expliqué que es imposible tener ambos, básico e ilimitados, y que el seguro solo le cubre hasta el límite que el selecciona. La verdad es que no existe la cobertura ilimitada, pero trabajamos con nuestros clientes para obtener la cantidad de cobertura que desean. El verdadero problema aquí es que no hay ninguna definición consistente del término “cobertura total”. A una persona, esto podría significar límites mínimos con cobertura integral y colisión (comprehensive y collision) añadida, mientras que a otra persona, “cobertura total” puede ser definida como todo esto, mas remolque, coche de alquiler y pagos médicos. Como es tan confuso, evitamos usar el término “cobertura total” aquí en Promax Insurance Agency, Inc. Usted puede oír la terminología de “cobertura total” por el público en general y podría ser engañoso. No hay manera que “todos los escenarios” de riesgo de auto que son posibles, siempre estén cubiertos. Cuando nos llame por un presupuesto, nos gusta empezar por determinar exactamente que cobertura va a comprar, a continuación, hacemos un “manzanas con manzanas” comparación de presupuestos para ver si le podemos ahorrar dinero con una variedad de compañías que ofrecemos. Asegúrese de tener su póliza actual para referencia para que el nuevo presupuesto incluya la misma cobertura y límites de su póliza actual. Y siempre asegure de obtener todos los presupuestos por escrito para hacer absolutamente seguro de que la cobertura citada cumple con sus necesidades. 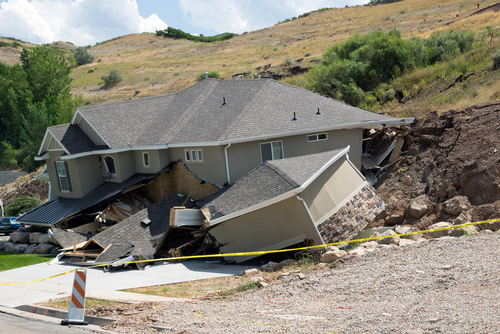 Should you buy Earthquake Insurance Coverage for your Home? Living in Southern California is like nowhere else, with the weather and beaches we have a lot to be thankful for. Unfortunately, earthquakes are also just as much a part of SoCal living. The Los Angeles area has a more than two-thirds chance of experiencing a magnitude 6.7 or larger earthquake by 2038, according to a United States Geological Society report. As the statewide earthquake drill: The Great California ShakeOut is approaching, now is a great time to prepare to survive and recover quickly after the next earthquake. To protect yourself and your family, visit the ShakeOut website. To protect your assets, there are two main types of earthquake insurance coverage – basic coverage and comprehensive coverage. Basic earthquake insurance coverage typically only covers the dwelling for all intents and purposes subject to a 15% deductible (of the dwelling coverage amount). This typically is the part of the policy that shocks most people. But I always remind them if their house is “red tagged” or labeled unsafe to live in, that it is much easier to come up with 15% as opposed to coming up with 100% of your total dwelling coverage amount. Comprehensive earthquake insurance coverage has much more than just dwelling coverage, it covers personal property, as well as some “loss of use” coverage which can be a big issue if you are displaced while your home is being repaired. These policies also have options to have a lower deductible, such as 10% or I have seen as low as 2.5% on one company (at a higher cost of course). Whatever type of insurance you choose; cost is always an important consideration. When considering the cost of earthquake insurance, also ask yourself if you can afford to be caught without coverage and run the risk of losing the equity in your home. You should also consider the cost of temporary housing while your damaged house is replaced or repaired. In a state of emergency, the government might possibly provide temporary shelter, but will not cover property losses incurred, including mortgage payments owed whether or not your house is livable. The best thing you can do to be prepared is to start with getting an insurance quote. Ask plenty of questions and know what is being covered. Be sure you consult a broker who can give you quotes from several companies as rates do vary. As always, Promax Insurance Agency is available to help you determine which coverage would be right for you. Call 1-800-371-8277 for a free quote today.